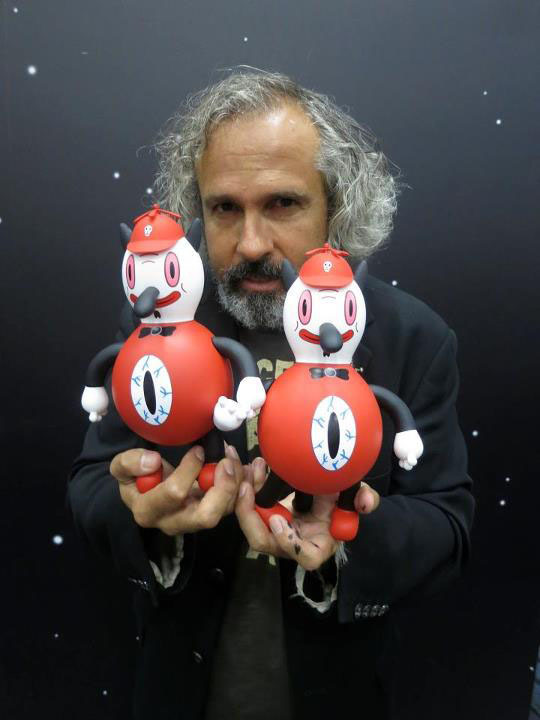 ほんと、kaNOの作風をアーバンと言わずして、ナンと言おう、なのだ。 The kaNO sketch series will be a series of sketched up blind box releases exclusive to the kaNO kid shop. 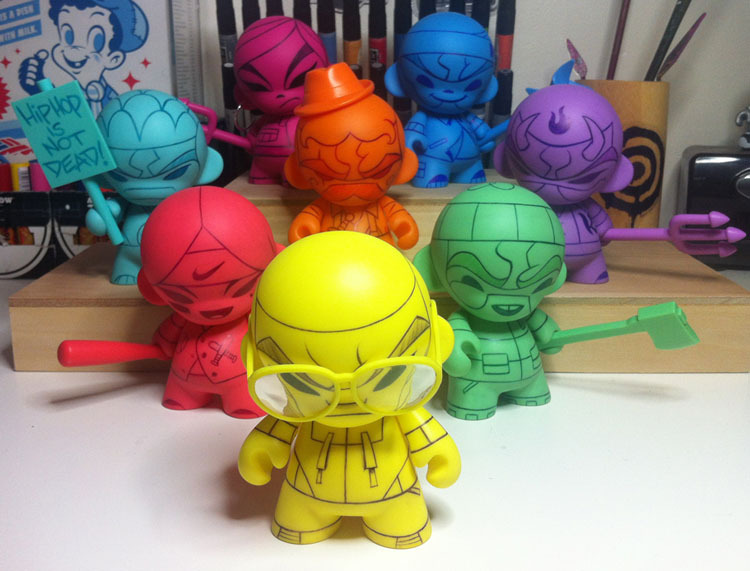 This series 1 utlizes the color mini Munny DIY figure by kidrobot as a platform, there are 8 different colors/designs up for grabs and each one comes with it's matching KR accessory. 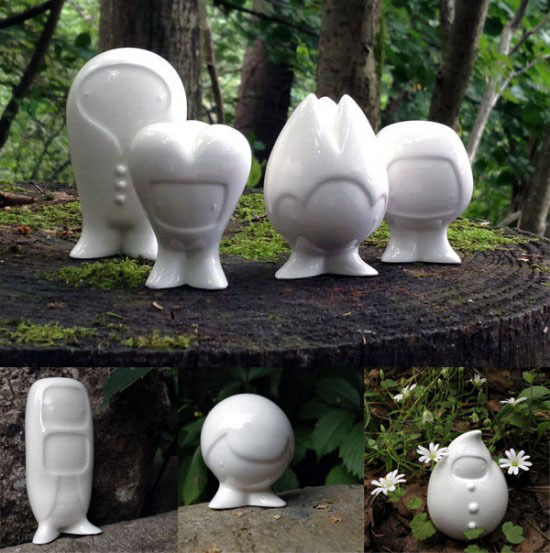 The kaNO sketch series mini munny's drop soon, Friday August 31st at 12pm PST at the kaNO shop. First come, first serve basis, 1 per customer. 9月1日（土）深夜24時、発売。 Sale on September 1st. at midnight 24:00. 9月1日（土）深夜24時5分、発売。 Sale on September 1st. at midnight 24:05. 10月入荷予定、日本では留之助が唯一の公認ストアであります。 There is a Japanese proverb that says, “one who hides their heads but not hiding their buttocks”(or in English, an “ostrich policy”), but Hong Kong-born Keiko is someone who is defenselessly making an effort with her breasts exposed. 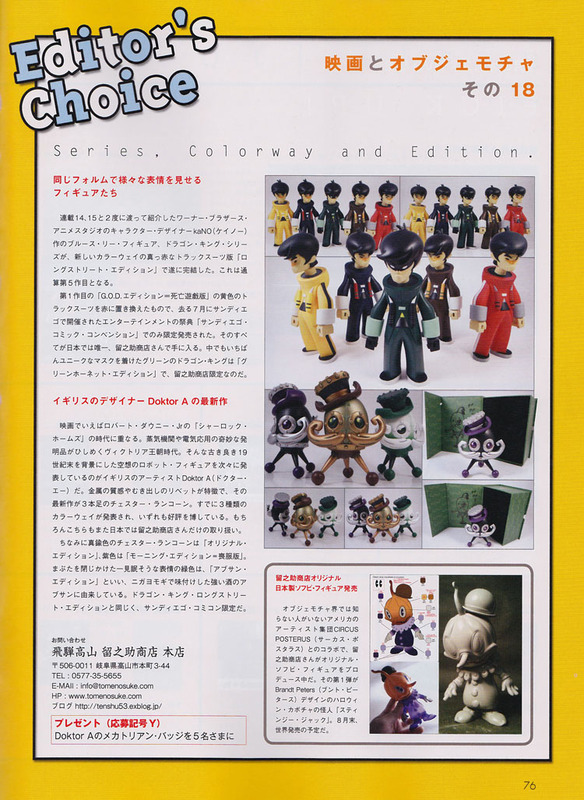 The newest of the series is in a world of loose bootlegs, and is a combination of the most popular SF character, “White Helmet” and Keiko. 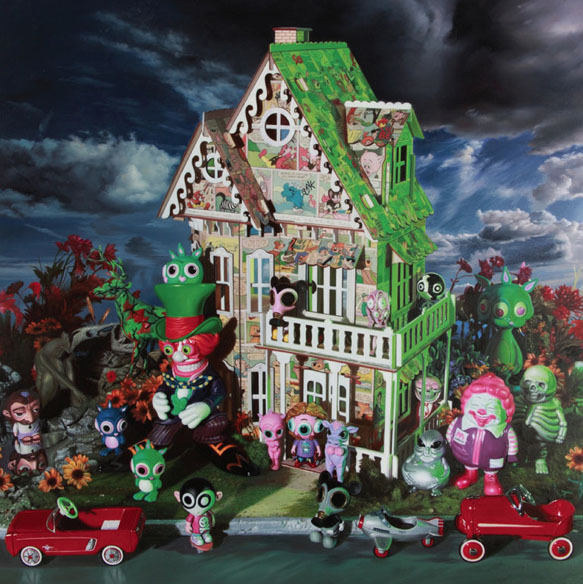 Until now I have introduced many works related to troopers such as SUCKADELIC, URBANMEDIUM and BOOTY BABE ART as a result of my preference, but I doubt there is any other work that could beat Keiko in terms of the degree of nonsense. 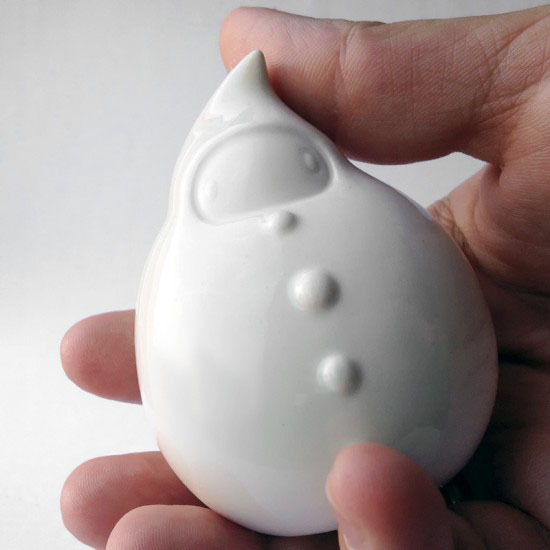 Scheduled to arrive in October, Tomenosuke is the only authorized sore in Japan. ご希望の方がいらっしゃいましたら、右の「Inquiry お問い合わせ」バナーか、こちらからご連絡を。 Brooklyn based artist & animator, Steve Talkowski, is proud to announce the launch of the sixth variant of his flagship designer vinyl character, Sketchbot! 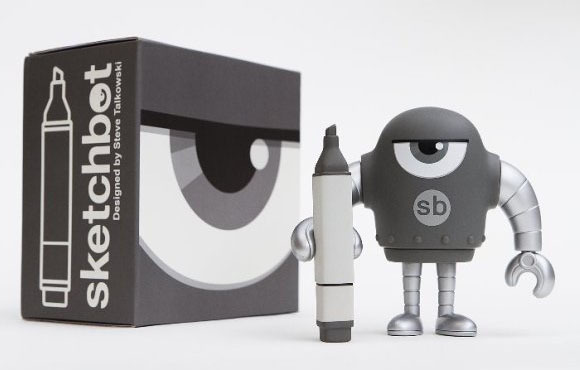 Sporting a cool gray tint and limited to 300 pieces - it comes packaged with a unique copic marker accessory and matching sticker. Measures 5 inches tall with 6 points of articulation. ご注文はこちらから→http://tomesyoten.exblog.jp/18727253/ 6" vinyl, ABS and cloth. yellow lenses and removable helmet. modular tactical vest with assorted pouches, Fort Burnout shirt, bandana, sUMP w/red dot and suppressor, tanto knife with sheath. regular arms and 2.0 arms. 映画と直接関係ないですが、スティンジー・ジャックを採り上げてもらいました。 From the latest issue of FLIX bimonthly movie magazine. ダニーにしてはひさしぶりに専用注文フォームを用意してミッドナイトセールにかけようか。 It is one of the rarest masterpieces of 8-inch Dunny in recent years. 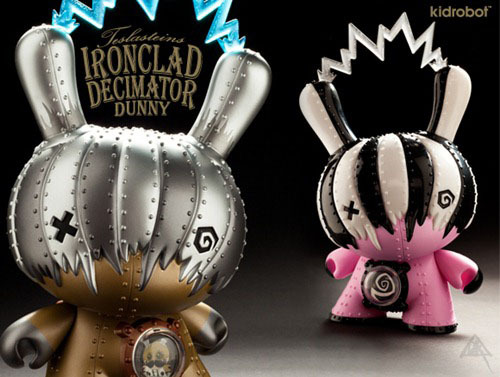 Doktor A's Dunny, the rarest of the 2009 Ye Olde English Dunny series, is now recreated in the more elaborated 8-inch size. It is named Ironclad Decimator; how long have I dreamed of this day! 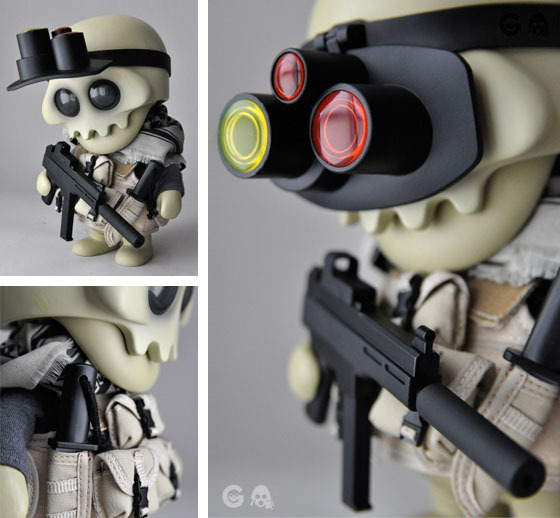 Of limited editions of 600, 1/6 will come chased version. My plan is to put all the shop arrival to sale and keep AP version of each for himself, signed by the artist. つまり、ひとつ分の値段で、もうひとつ付いて来る的なお得セットなのだった。 Tweedledee and Tweedledum, a twin characters found in "Alice in Wonderland", makes Toby Dee and Toby Dum when designed by Gary Baseman. 映画ではジョニー・デップが演じたマッドハッター、高さ10インチ（25.5センチ）300個限定と、トビー・ディーとトビー・ダムの2体セット、高さ9インチ（23センチ）300セット限定が揃って入荷することになった。 ▲ Mad Hatter designed by Ron English appeared in his solo show which was held last year in Corey Helford Gallery in L.A. I have been curious to see it.